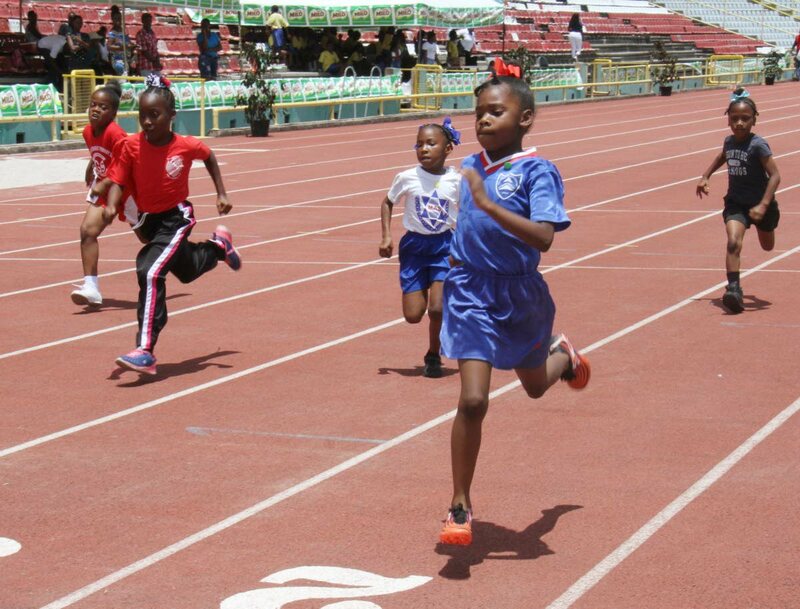 Jennaya Granderson, of St. Dominic’s RC Primary, 2nd from right, goes on to win the Girls Under 9, 80m, at the 32nd Kelvin Nancoo (Milo) Primary Schools Games, Hasley Crawford Stadium, Woodbrook. 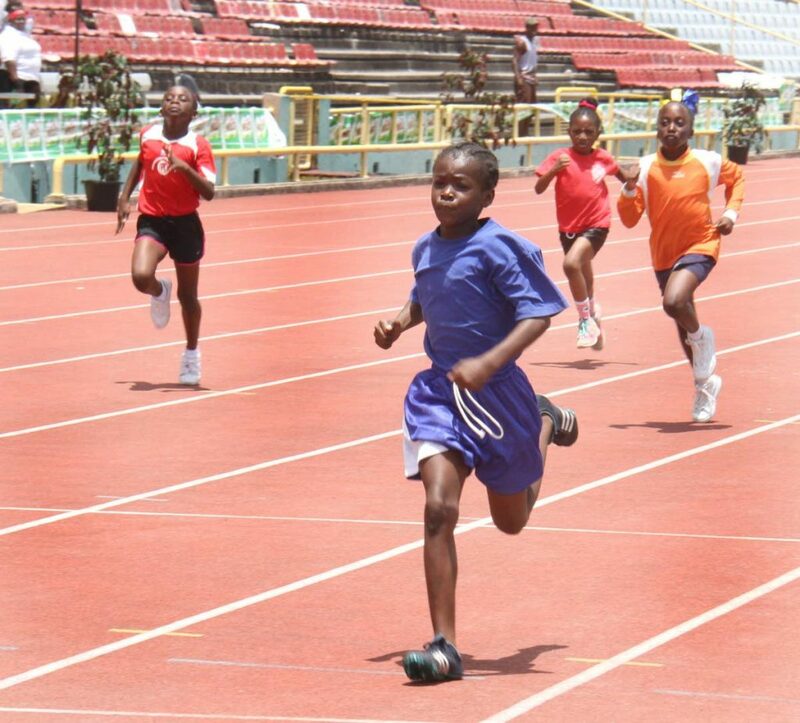 SUCCESS RC Primary School, Chinapoo Government Primary School, St Dominic’s RC Primary School and Eastern Boys Government Primary School all won titles on day two of the Kelvin Nancoo (Milo) Primary Schools Games 2019, at the Hasely Crawford Stadium, in Port of Spain, yesterday. 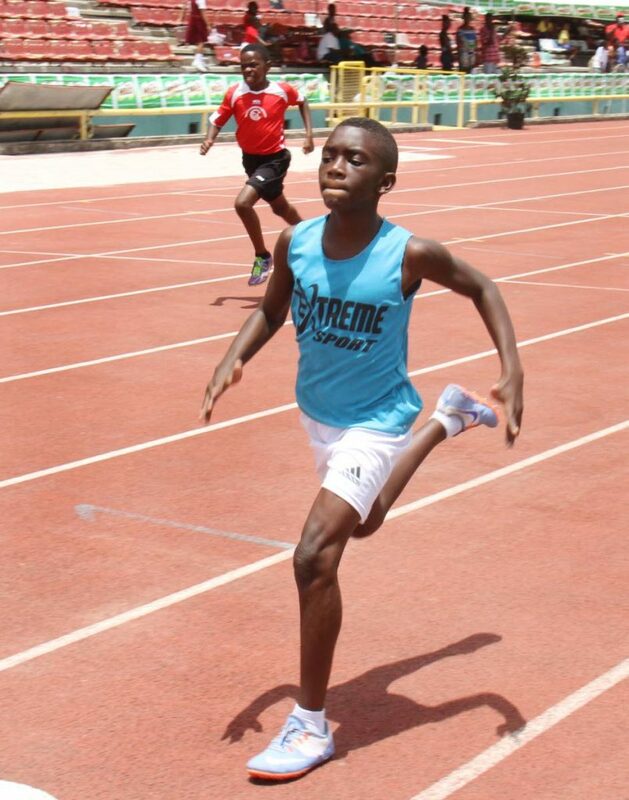 It was a battle for the entire day between Chinapoo Government and St Dominic’s RC in the East A category. In the boys category, Chinapoo Government were crowned the winners with 91 points ahead of St Dominic’s RC that settled for second place with 71 points. Morvant Anglican ended third with 40 points and Hockett Baptist Primary School were fourth with 31 points. St Dominic’s RC easily won the girls category with 103 points as Chinapoo Government had to settle for second place with 54 points. It was a close battle for third place between Morvant New Government (48 points) and Morvant Anglican (47 points) with the former finishing one point in front. Reply to "Success RC top Day 2 of Kelvin Nancoo Games"